This is Play By Play on Life, Session Number 1. The rules of the game are these – for every podcast I’m going to post a question, and then I’m going to answer it at the end. Sorry, got to keep playing. Go listen to the whole thing, if you want the answer. All right, so the first question of the first podcast of Play By Play on Life is what is the definition of cherophobia? I’ll give you a little hint. It’s not a chair. So it’s not a chair, okay? You just got to go with that. So starting there, what is the definition of cherophobia? You have to wait until the end for the answer. Here’s the podcast. Start your engines. Get them revving. Are you ready to play full out? Shift it to a new gear, accelerate? Great! Then buckle up. It’s going to be a wild ride. Don’t say I didn’t warn you. Welcome to the transformational series, Play By Play on Life. This podcast series provides tips, tools, techniques and insights on how to reduce stress and increase joy, fun, creativity, inspiration and passion. I’m your host, Jim Holzknecht. Hello, everybody, and welcome to the first inaugural voyage of the Play By Play on Life podcast. I am so honored and privileged to be hosting this program and sharing this journey with you. I also just can’t wait to talk to the people that we’re going to be talking with. We got a lot of great stuff in store for you, a lot of powerful people, a lot of empowering people that will share their life experience. And my goal is just to have you play full out in your life. Whatever it takes, give yourself permission to play full out pursuing your passions, be aligned with your dreams. That is the intention of the podcast. With every podcast, I’ll be providing tips, tools, techniques, insights, resources on how to reduce stress, increase joy, fun, creativity, inspiration and passion. I want to build this program right along with you. Also be sure to subscribe to our newsletter at www.playbyplayonlife.com/tips. Be sure to check out our website at www.playbyplayonlife.com. There you can find list of the podcasts that we have done, also resources, information. In addition, we also have the Facebook group, Play By Play on Life. That’s a community that we’ve established to support you and what you’re creating. So go ahead and join it. Also, we’ll keep you updated on the release of my upcoming new book, Midlife Play Book. Not long ago, I was in a job I didn’t like. I was stressed out. I was taking my life for granted. I was taking everything so seriously. Everything was serious and intense. It’s always about the next thing. No matter where I was, there’s always some place of to get to. I never could really enjoy the process because I was always looking for the next thing. To compound matters in 2006, my sister Sue died suddenly from a brain aneurysm. After my sister’s death, I hit rock bottom. This was a huge wakeup call for me. I needed to make some serious changes on my life. If I didn’t change, nothing would change. I turned my focus inward. I believe change is an inside job. Gandhi once said “You must be the change that you want to see in the world.” Change needs to occur on the inside before it manifest on the outside. I took a long hard look at the direction and purpose in my life. I asked myself some of that soul-searching timeless questions people have asked themselves throughout history – what am I here for? What do I want to give back to the world? What legacy do I want to leave? What do I want to do, be and have the time I have left? I pictured myself at the end of my life on my deathbed and asked myself, “Would I regret it if I didn’t play full out and live a life of passion, fun, purpose and adventure?” Yes, I would regret it big time. If I didn’t live my life to its fullest, I was going to regret it. I had to really learn to lighten up, to shift my state. That’s what a lot of these programs going to be about, is providing tools for how to actively shift your state. It’s all about who you’re being a lot of times, and we have full responsibility for that. My sister was my inspiration. She was always someone in your corner, who always supports you, who loves you no matter what. She was that rock for me and when she died, I had to really make some serious changes in my life. Before she died, she gave me a book that was instrumental in my life. It was A Rebel Without a Crew by Robert Rodriguez. In this book, he described how he just pursued his passion, his dreams. It’s so inspiring story. If you haven’t read it, I definitely recommend it. He went down to Mexico and shot a 16mm film, waltzing by himself, with another actor. He just basically shot the whole thing and edited it himself, did all the sound himself. It was just so amazing. He goes out in Mexico and shoots El Mariachi. “The meaning is in the process. Enjoy the process. Believe in a dream and do it with love – Sue”. This message hangs on my wall to this day with the picture of her and I in New Orleans. After my sister’s death, it was a wakeup call and I really started pursuing my passions full out. In 2006, while working full time, I started a video production company producing educational documentaries for colleges and universities. I wrote, produced, directed, and edited DVDs on histories, psychology, sociology, kinesiology, biomechanics. I am a one-man crew. I go out and interview people, conceptualize the programs, research them, find the experts in different areas. Every time I embark in a new production, new journey, I always remember Robert Rodriguez going down to Mexico and shooting El Mariachi. I’ve always been inspired by that story because to me, it exemplifies someone who is willing to totally pursue their passion no matter what. Just to go for it and pursue it full out and just enjoy the process, enjoy the journey, and let that cards follow where they may, man. So that’s pretty much what this show is about. It is about how to do that for yourself, how to create that, how to play full out. Giving yourself permission to play in life, I think is at the heart and soul of what we’re here for. In 2010, I co-produced the internationally distributed documentary film Beyond Belief, along with Becky Hayes, another Austin video and film producer. Over the years, I’ve had the honor and privilege of interviewing some of the leading authors, entertainers, speakers, and self-empowerment experts including George Takei, Jack Canfield, Julia Cameron, Marci Shimoff, Sandra Anne Taylor, Joe Vitale, Elaine Hendrix, Don James, Michelle Akers, Robert Dilts, Judith Orloff, and Bruce Lipton, just to name a few. Throughout this podcast series, I will be interviewing entrepreneurs, authors, psychologists, business leaders, spiritual teachers, and self-empowerment experts. I am committed to providing content that makes a lasting difference. The journey of a thousand miles begins with the first step. So let’s begin this journey together and let’s step, moving on down the road, making it happen, let’s do it. Let’s build this thing. Let’s create something really special. In closing, I just want to say may you always dream your life and then live your dream. Thanks for listening. I know you must have been on the edge of your seats. All right, so here it is. The definition of cherophobia is a fear of fun. Hopefully, you don’t suffer from that affliction. If you do, I’m going to do everything I can to crush that fear. All right you, guys, that’s it. Until next time. 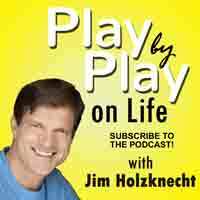 https://itunes.apple.com/us/podcast/play-by-play-on-life/id1124688691 .< If you have ideas on topics that you'd like to see covered in this podcast series, go to our Contact section at www.playbyplayonlife.com/contact. Your feedback is really important to us, you, guys. We're building this thing together. So give us your feedback. Let us know what you want to hear, what topics you like to see and we will do our best to put it up. So until next time, go out there, choose to play today. Make it a priority. Shift it to a new gear. Give yourself permission to play all out and make the whole world your playground.